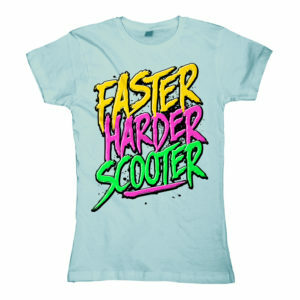 100% SCOOTER – 25 YEARS WILD & WICKED: SCOOTER are celebrating in 2018 their 25th anniversary – who would have thought it possible a quarter of a century ago? 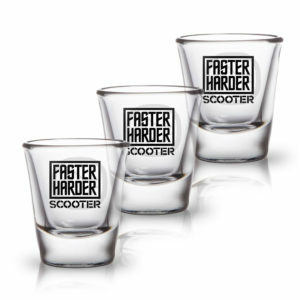 Not only have mastermind H.P. 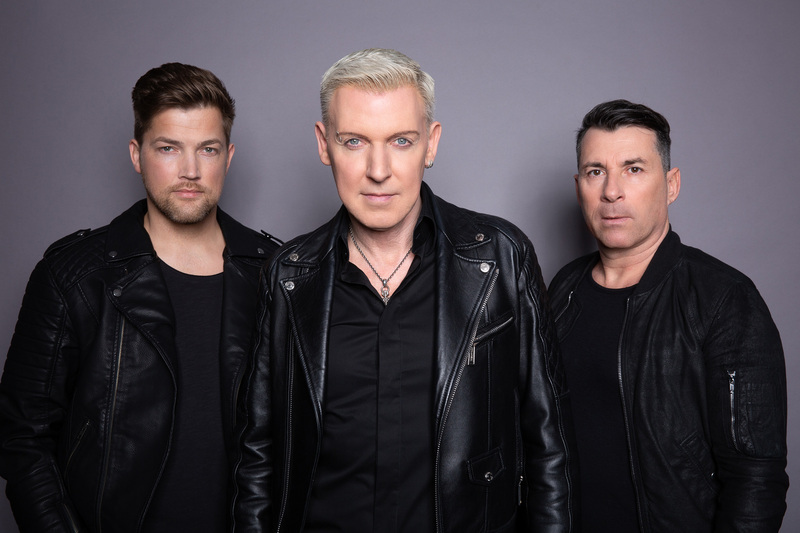 BAXXTER and his band colleagues triumphed over the transient and capricious nature of the music scene but they have gone on to become the most successful techno act of all time. 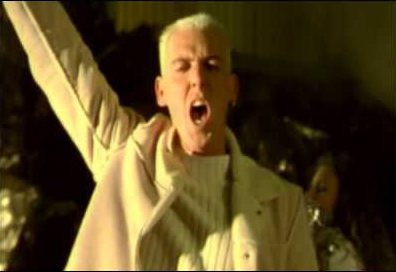 In their illustrious history, SCOOTER have spent more than 500 weeks in the singles charts and 300 weeks in the album charts, selling over 30 million units along the way. More than 80 gold and platinum records from all over the world. On top they scored more top ten hits in the charts than any other German artist and can call on a catalogue of top ten tracks to rival those of the most successful artists of all time, names like Madonna, Michael Jackson, Rihanna or Depeche Mode, an anniversary such as this cannot slip by quietly. 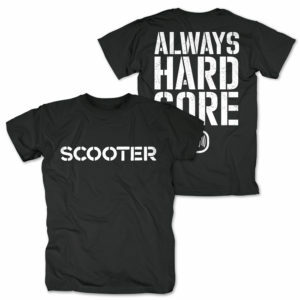 No, SCOOTER will celebrate their silver jubilee all year long! 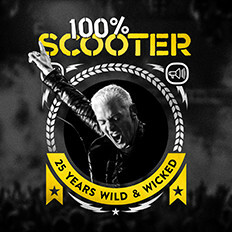 At the heart of the celebrations, the 100% SCOOTER – 25 YEARS WILD & WICKED TOUR will be the biggest world tour SCOOTER have ever embarked on, taking them all the way around the globe and back again. 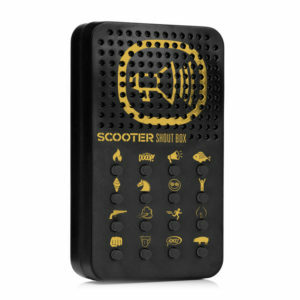 Follow us on social media or subscribe to our newsletter to stay up-to-date with everything about Scooter! TICKETS FOR PARIS AND AMSTERDAM AVAILABLE NOW! 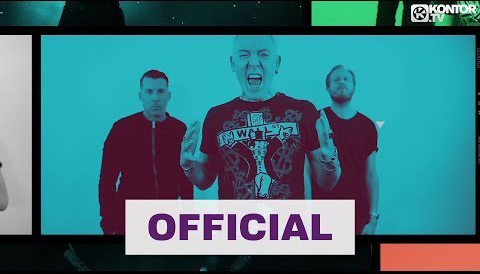 100% SCOOTER (25 YEARS WILD & WICKED) – OUT NOW!!! 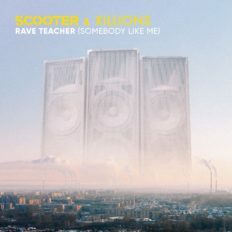 NEW ALBUM ‚SCOOTER FOREVER‘ OUT NOW! 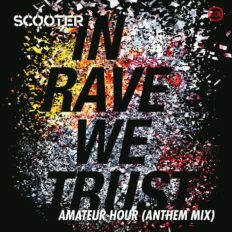 Official minimix + tracklist of SCOOTER FOREVER! NEW SINGLE „BORA! BORA! BORA “ | OUT NOW! 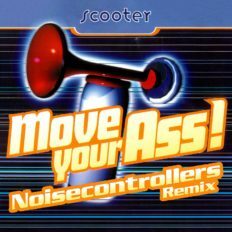 NEW ALBUM „SCOOTER FOREVER“ | COMING SOON!